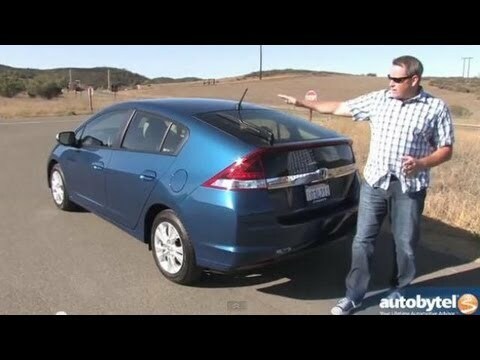 The Honda Insight hasn't matched the popularity or fuel economy of the Toyota Prius, but it does boast one characteristic that sets it apart: It is the least-expensive new hybrid car you can buy. The Insight isn't very exciting to drive, but with a sub-$20,000 starting price and over 40 mpg, this hatchback can take you far for your dollar. I like the function of turning the eco on and off when you choose. Great on gas mileage. Nice size trunk for trips. It is nice to be able to fold down the seats and have more room for larger items. We have a 2014 so we do not have all the nice new upgrades other cars have. Good size seat except with a car seat in the back. Does not have a great pick me up speed for when entering the highway. However, the mileage again makes up for this. It makes it easier when gas prices are up having a smaller tank. We take it to Michigan on trips all the time. Wonderful vehicle with great gas mileage. Best mileage per gallon of any car I have ever owned. 55 mpg sometimes on the highway and actually has really good mpg in the city. We have drive in the mountains up hill and down hill in the city and on the highway and the car consistently gets great gas mileage. It is great when you fill up your vehicle at the pump and you pay very little compared to our other vehicles. I like that it is very quiet when starting the vehicle as well as backing up. That 42 mpg cuts my gas spending in half. However, due to the small tank, you refill as often as a regular...you simply spend less because you're refilling a smaller tank. Because the car is a hybrid, I get 42 mpg. The car's size gives it a very tight turning radius and makes it harder for me to bump into things. That is important because my spatial skills stink. I wish this car hand mirrors on the inner sides of the sunshade and a back up camera. Honda will notify owners, and dealers will replace the passenger frontal air bag inflator, free of charge. The recall began November 6, 2018. Owners may contact Honda customer service at 1-888-234-2138. Honda's numbers for this recall are M2J and S2K. Honda will notify owners, and dealers will replace the inflator, free of charge. The recall began March 2017. Owners may contact Honda customer service at 1-888-234-2138. Honda's numbers for this recall are JY0, JY1, and JY2.